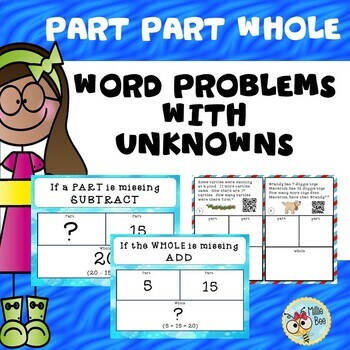 Contains word problems with unknowns, POSTERS with examples, and student practice sheets. 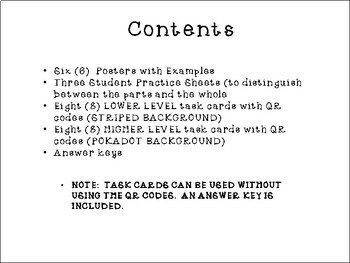 Also contains eight differentiated task cards for lower level students and eight task cards for higher level students. These cards can be used for centers OR for practice. 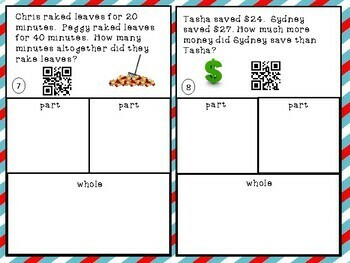 Each task card has a QR code for student self check. 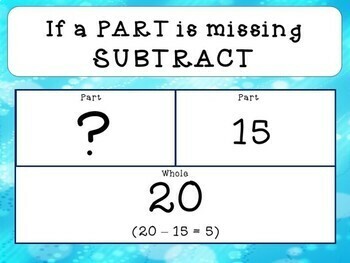 Answer keys are also included, however no QR code reader is necessary to complete the center tasks.